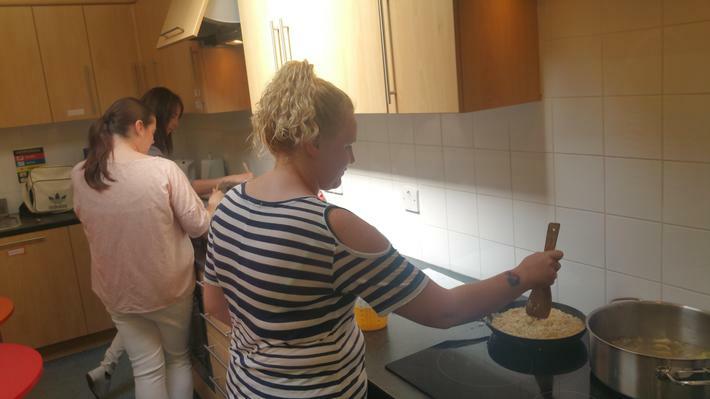 We have been having lots of fun on our Cooking on Budget course with thanks to Communities First. Six of our parents have been making delicious, nutritious food on a budget in our pupil kitchen. Parents have made the following food: Spicy fried bean, cheese and vegetable wrap, Spicy vegtable pasta, chicken risotto and leek and potato soup! All delicious!